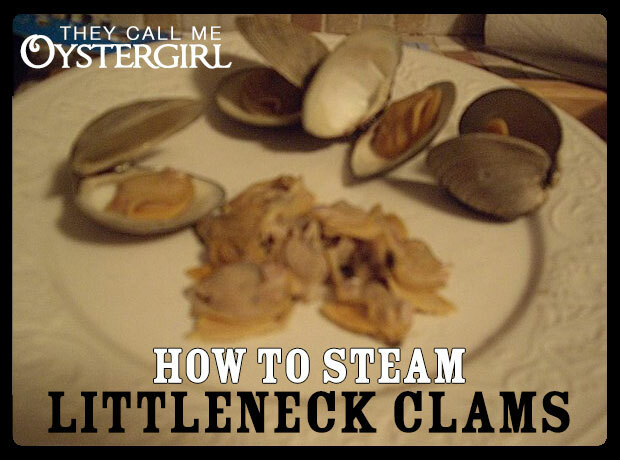 Steaming littleneck clams might be easy in that there aren’t many steps involved, but there’s a real science to it, that requires focus. You can’t just toss them in a pot with some water and leave them. Anything less than your undivided attention would be not only an insult to these beautiful creatures that are giving their lives to feed you, but they won’t turn out as good. Oh sure, when you start you want to put in more stuff, you think they need it. The first time I bought them I asked the shellfisherman, what’s your favorite recipe? He said he liked to steam them in white wine and garlic, put them over pasta and you’ve got your sauce right there. I didn’t have any wine or pasta handy, so I used water and garlic instead and just ate them straight up, and eventually found the garlic to be superfluous, even extraneous. The thing about shellfish, I mean good shellfish, is that they’ve got the taste of the ocean in them. And does the ocean need seasoning? I don’t think so. You know what they taste like? Like the salt you breathe when you go to the beach, like the air you can feel seep into your skin. That’s why you go to the beach isn’t it, to take home the feel of salt water on your skin that you don’t want to ever come off. That’s what these smell like, and taste like, and feel like. • Put them in pot. • Bring to boil over medium heat. Each littleneck peaks on its own time. They are singular creatures rarely subject to the pressure of their peers to be finished at a certain time. And you can’t make assumptions about them based on their size—sometimes the big ones are done first, contrary to what you may think and sometimes the last hanger-onner is the smallest, thinnest-shelled one. That’s the beauty of them—they are wholly unpredictable and that’s why you need to pay attention to them, really get to know them as connected yet unique creatures. • When shell opens, remove from water immediately with large spoon or tongs. If leave them in after they open, they get all rubbery and weird. Sometimes they pop open and you can hear them, but sometimes they open gradually, quietly. The ones that pop are a joy to watch, they twitch and shake a little in the water before opening. The gradual ones are tougher, because you never know when they’re done opening—but it’s better to take them out too soon than too late. So you see why you have to keep on them. They don’t all open at the same time. They open when they feel like it, when they’re good and done. You have to be patient; they need their time, and they like it when you watch them. • Remove clam from shell with fingers. They’ll all be different temperatures because they cool kind of quickly, so you’ll want to sift through them and eat the first ones you took out first. • Put shells back in water. • Add dash of vinegar. Simmer for a long time, 12 to 24 hours if possible. If you don’t want to leave your stovetop on that long, use the low setting of a slow cooker. You can use your stock for anything, clam chowder of course or a broth to cook things like rice in. Imagine that, rice that tastes like the ocean. Anything that tastes like the ocean is a good thing.